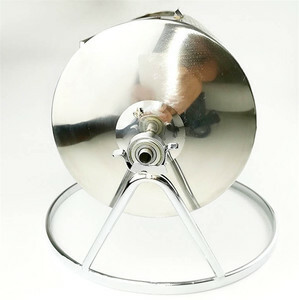 The drum of BK series coffee roaster is made of stainless steel. 3kg coffee roaster The BK3kg coffee roaster is a perfect model to use in a roastery or coffee bar. This coffee roaster is the perfect roasting solution for large coffee roasteries. &#9679; Roasting and cooling can work at same time, separated chaff cyclone for effective chaff separation. &#9679; Factory made high quality burner for effective heating, fuel saving. &#9679; Four high quality motors to control drum, hot air volume, Cooling tray. &#9679; Roasting and cooling can work at same time, separated chaff cyclone for effective chaff separation. Easy to Maintain Each of the machine built in the maintenance access inside, you can easy to clean up the machine once you roasted many. Or in case of anything wrong with the parts, you can easy to replace the parts by the maintenance access. C:Ordering We have to accept 30% deposit before we producing the machine, when the machine is ready to ship please pay the balance. During this period you can get free part provide human factor. Out of the warranty our services team will always beside to help you. 3. The machine provides accurate temperature sensing, and the temperature is displayed on the screen. 4. The machine is equipped with automatic ignition and flame-out protection devices. 7. The machine has an elegant design and easy operation, and occupies little floor space. 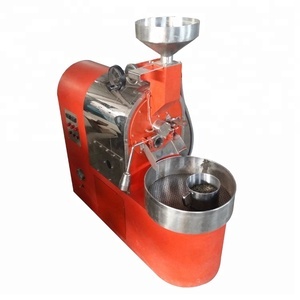 969.coffee Red Commercial Coffee Roaster for Home - Rosty 2 kg. 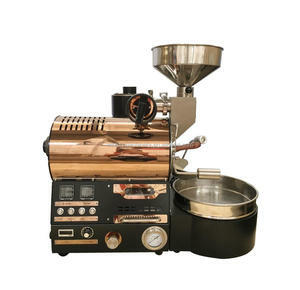 Product Introduction Full automatic, computer aided roasting machine with 2 kg. Available in red, white, green, black, brown or gold. Model Capacity Weight Voltage Rosating Time Rosty 2 kg. 2. Imported Highest quality materials, precise laser cutting technology and perfect welding technology. 3.Unique roasting roller design and interactive control technology for even baking effect. 6.Advanced temperature controlling technology and precise temperature control instrument. When the temperature is reached, a buzzer sounds to alert the operator. 4.Baking time can be set as desired according to product variation. 5.Electronic temperature display for accurate temperature control. 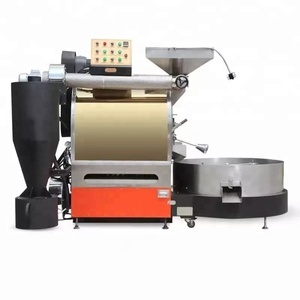 Alibaba.com offers 4,819 commercial coffee roaster products. About 41% of these are coffee roasters, 3% are bean product processing machinery, and 1% are arabica coffee beans. A wide variety of commercial coffee roaster options are available to you, such as cb, ce, and csa. You can also choose from stainless steel, aluminum. As well as from paid samples, free samples. There are 4,829 commercial coffee roaster suppliers, mainly located in Asia. The top supplying countries are China (Mainland), Turkey, and South Korea, which supply 98%, 1%, and 1% of commercial coffee roaster respectively. 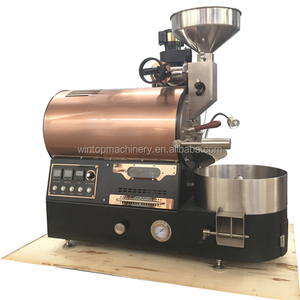 Commercial coffee roaster products are most popular in North America, Southeast Asia, and Domestic Market. You can ensure product safety by selecting from certified suppliers, including 1,101 with ISO9001, 660 with Other, and 442 with ISO14001 certification.